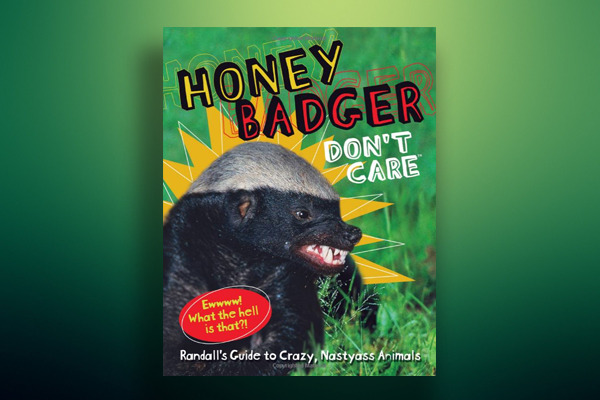 Honey Badger Don't Care on MSNBC August 6th! We are totally sold out right now. We will let you know as soon our swag is back in stock and will send you special email-only promotions! Randall's Honey Badger shirts & hoodies are the perfect gift for the crazy badass in your life! New Summer 2018. Check out our official Honey Badger t-shirts, long sleeve tops,hooded sweatshirts and hats. Wow! We Sold Out. Subscribe on YouTube and we'll let you know when our swag is back in stock.